It should come as no surprise that every state has different laws when it comes to flashing lights and emergency vehicles. In fact, no random driver on the road can have flashing lights without a permit or an authorized emergency service vehicle. Oregon is no exception to this law. However, Oregon has different light laws regarding their emergency service vehicles. In this article, we will explore the different emergency vehicles and the laws regarding their flashing lights. When it comes to emergency vehicles, the lights are a way of letting normal drivers know just exactly who is behind them, what they want, and what they are there for. For example, if a police officer comes up behind the driver with blue light flashing, it usually means the driver has broken the law and must be pulled over for retribution. Without light laws, anyone on the street can have these blue lights, which might lead to several dangerous situations. In this article, we will be looking at various forms of emergency vehicles as classified by Oregon’s Department of Transportation laws and regulations. The article will also explore the various emergency vehicle lights that can be used by an emergency vehicle in the state of Oregon, what colors the lights should be, and whether they should be flashing or revolving. The article will also address the regulations that classify a vehicle as an emergency vehicle in this state. Police vehicles are important for the general safety of the public, but they require flashing police lights for emergency situations. In Oregon, the police lights are much like the rest of the country’s. They use blue, white, and amber flashing lights for warning. This is placed under their statute 816-250. They are allowed to use their like blue, white, or amber lights anywhere, and they can choose from stationary or revolving lights. 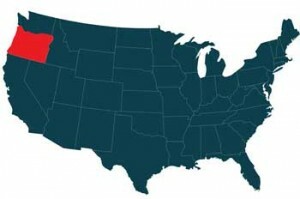 The lighting used by police officers in Oregon must be visible for at least 1000 feet upon activation. This is to ensure that the warning lights are seen and headed in the case of an emergency. Fire trucks are common throughout the country for their use in putting out fires or attending to other emergency situations. However, a fire truck requires a flashing light and siren of some sort to alert the other drivers on the road of the emergency and the truck’s presence. The fire trucks in Oregon must be run with either plain red lights or a combination of white and red for their warning lights. The statute is under Oregon state statute 816.285, which allows a flashing system of fire truck lights as well as the white lights on the forward facing portion of the vehicle. The statute also states that fire trucks in this state can use revolving warning lights or green flashing lights if needed. As a part of the Oregon emergency vehicles, the light laws for volunteer fire trucks fall under the state statute of 816.240, which states that the use of white, red, or amber lights are allowed under certain circumstances. The amber or white lights must be forward facing, and the red or amber lights must be rear facing. Any lights used on these vehicles must be visible by at least 500-feet. Volunteer fire trucks can be any vehicle that is registered to a volunteer firefighter in the state of Oregon and is registered through the Department of Transportation. An ambulance is an emergency vehicle that transports people from the scene of an accident or emergency to the nearest hospital. There are ambulances throughout the country as well. Different from police lights, Oregon ambulatory service vehicles must use their warning lights as well as a siren as long as the lights are activated. However, Oregon does not require the ambulance to have any certain color lights, but under their state statute of 820.350, the siren must be run along with the warning lights when they have been activated on the rig. This not includes a rescue squad vehicle, which will fall under the caution or hazard vehicle of emergency vehicles. Tow trucks are used to transport vehicles from the scene of an accident or emergency to the nearest mechanic or junkyard, which makes them hazardous as well. As a hazard vehicle, two trucks are allowed to have amber, white, or red lights on their vehicles as long as they comply with the state statute of 816. 240. The vehicles must have rear or front lights with the red lights in the rear and the white lights in the front. The lights must be visible for at least 500-feet to ensure that other drivers on the road can see the tow truck as it approaches or drives in traffic. This is important to ensure that other drivers can proceed with caution near these vehicles. Construction vehicles are important as well. They alter traffic to oncoming construction, and when they are in a hurry, the flashing lights help give them passage through traffic to get to the site faster. On these vehicles, they must have amber, red, or white lights with the white being in the front and the red being in the rear of the vehicle. The warning lights on the truck are required to be visible from 500-feet at the least to comply with the state statute. Utility vehicles, or better known as power trucks, are often equipped with warning lights as well as other safety vehicles. Since this work vehicle needs a warning, they can use red, amber, or white lighting to alert other drivers of their vehicle’s presence on the road. The red lights should be placed on the back of the vehicle, and the white lights should be placed on the front of the vehicle. The emergency vehicle statute for these strobe lights should be visible for at least 500-feet to ensure that the other drivers can see the vehicle from a distance. Pilot vehicles, or vehicles that guide drivers on a road with extensive construction, have specific light laws as well. First, the pilot vehicle must have at least two separate amber lights that flash. The lights must be as far apart from each other as possible, and they are required to have a lens that is four-inches in diameter. The use of revolving lights or even strobe lights can be employed as long as there is 360-degrees of output from the lights. The lights must also be visible for at least 500-feet. Security vehicles, or the vehicles that patrol certain areas like plants or malls, have emergency lights as well. They can have red, amber, and white lights on their vehicle, but the red lights must be on the back while the white and amber lights must be on the front of the vehicle. As long as the lights are visible for at least 500-feet total, the security vehicle is compliant with the Oregon state statute of 816.240. In Oregon, there are specific regulations that must be met in order for a vehicle to be considered an emergency vehicle and be given flashing lights. According to the statute of 801.260, an emergency vehicle is defined as a public vehicle like police, fire, and security. With this statute, the emergency vehicle is granted permission by the state to have to flash emergency lights. The vehicle must be registered with the Oregon Department of Transportation before it can be granted lights for emergency use only. This statute is extended to federal vehicles as well. Lights are used for a variety of reasons on a vehicle. For example, headlights are used to see in the dark as the driver operates the vehicle. However, flashing lights are prohibited on any vehicle that is not considered an emergency vehicle in the state of Oregon. Most states have their own unique light laws the determine what sort of lights an emergency vehicle may or may not have, how they should be operated, and whether or not they need specific registrations. There are even specific laws put in place for each type of emergency vehicle. 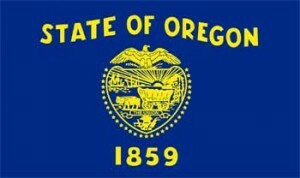 Oregon has its own specific laws for each emergency vehicle. For example, a fire truck will have different lighting laws than a volunteer fire truck or an ambulance. Still, an ambulance is one vehicle that is required to have the siren running for as long as the lights on the rig are flashing. Each emergency vehicle, like other vehicles, must be registered with the Department of Transportation in the state of Oregon, and once registered, the vehicle can be employed with the proper lights, whether that be red, white, or amber lights, or if they are flashing or revolving. The lights are each used to get the attention of the other drivers on the road to alert them of emergencies or other issues. Police, fire trucks, and ambulance vehicles are some of the most important, but security trucks, tow trucks, and construction trucks all have their place in the emergency vehicle department.